This entry was posted in 1 and tagged consistency, ethics, moral intuition, philosophy, potential people, value. Bookmark the permalink. This isn’t the analagous question. Don’t ask how much more orange juice you have in one world than in the other. Instead, ask how much more orange juice is contained in the cup. That question has no meaningful answer, because in the second world there is no cup. This is analgous to the question of whether there is more good in the world where the potential person exists versus the one where they don’t. If you value the person’s existence, then the first world has more orange juice, I mean utility. 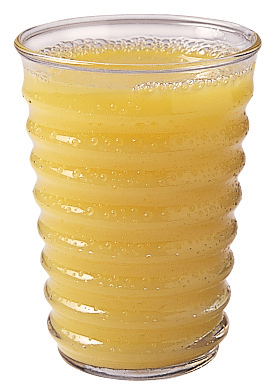 But if their existence is neutral to everyone but themselves, then there is no difference in utility between the two worlds – the first world does not have a greater amount of orange juice contained in the cup because there is no cup to contain it, and it has no more utility for the potential person because there is no person to have utility. My initial wording was a bit confused. Eddie is assuming that the utility is measured in the present world. And that is wrong; when calculating expected utility, you compute the utility expected at some point in the future. When those people exist. On the contrary. Thinking of them as semi-existing people is factually incorrect, and obscures the most relevant fact about them, namely that they do not exist. That they might exist in the future does not change the fact that they do not exist now, and thus do not have any preferences. If, due to choices we make today, it turns out that someday in the future they do come into existence, then at that point they will have preferences. But if we make a different choice and they never exist, they will never have had preferences and thus will never have suffered anything by virtue of not having had their preferences fulfilled. If the fact that someone doesn’t exist now is relevant, do you also not care about people who don’t exist now, but will do? If so, I think you are unusual. Most people seem to claim that it’s possible to benefit future people. And as far as I know pretty much everyone agrees that you can’t benefit people who can never exist. So it seems the relevant feature of the people under debate is that they are in neither of these categories – their existence varies across worlds. I think we agree that those who will never exist deserve no consideration. I think we also agree that those who will exist deserve as much consideration as any other person. I didn’t say this above, but I’m saying it here in response to your question. But the key point regarding your entire post is how we feel about those in the middle group: the people who don’t exist yet, but could. Note especially that I don’t mean those who, say, have a 90% chance that they will exist and only a 10% change that they won’t, i.e. those for whom we are uncertain about their future existence. When I say “could” exist, I’m specifically referring to people whose existence we have the power to cause, and who we are deciding whether or not to create. Those are the people at issue in this discussion – the ones whose existence we are trying to determine the value of, so that we can argue for or against the morality of trying to bring that existence about. You are arguing (I believe) that we should choose today to bring about future worlds in which potential people exist, because those worlds will have more value to those people than the worlds in which they don’t exist. I argue that those people cannot place a value on the worlds in which they do not exist – not even a value of zero – because in such worlds they do not have preferences. First, people who will exist: the comparisons are between worlds in which they exist but are relatively unhappy and those in which they will exist and are relatively happy. Yes, they do not exist now, and thus do not yet have preferences, but we should strive to satisfy the preferences they will have when they do exist. Unlike the merely potential people, they will have preferences in every future world. Second, those who exist now but won’t exist in the future, i.e. those who will die. They may have preferences today about which future worlds should exist, even though in those future worlds they will no longer have any preferences. We should strive to bring about those future worlds – not to satisfy their future preferences, but to satisfy their present preferences. Potential people, like the soon-to-die, will not exist in (some) futures and thus will not have preferences in those futures. But unlike the soon-to-die, potential people have no preferences in the present either. It’s a lot easier to defend your position through veil-of-ignorance type arguments. Consider two possible worlds, one in which person A tosses a coin to decide whether or not to have a child (called B), and one in which they do it definitely. Suppose further that B will have an exceptionally nice life, and that behind the veil of ignorance B is one of the people I think I might be. My chance of being B behind the veil-of-ignorance is in some sense higher in the second world than in the first, and since by assumption A’s child’s life is exceptionally nice, increasing the probability of being B increases my expected utility behind the veil. If you don’t like the discussion of the “chance of being B”, think rather about the veil-of-ignorance as obscuring the properties of the life you will have. In the possible world in which A tosses a coin, the probability of having an “exceptionally nice” life must be lower. The problem with veil of ignorance arguments is that it’s very hard to agree on a neutral reference set of possible people, i.e. on “prior beliefs” behind the veil. If the reference set is large enough to include all future beings, and my prior is on continued economic growth then introducing another person now (even one with an “exceptionally nice life”) may well reduce expected utility as it reduces the chance of being born in the far future. I like your moral reasoning framework, although I think its incredibly unintuitive. But our brains aren’t wired to reason especially well over even a universe with a single deterministic set of events in four dimensional spacetime (look at the muddle people get into over questions like free will etc), let alone the powerset of one. So I think you’re fighting an uphill battle to sell this message to people. Still, consider yourself preaching to the converted in my case, if I’m accurately paraphrasing your views. In my eyes, the contentious comparison usually isn’t between a good life and nothingness, it’s between a high-probability good life in the near future and an uncertain probability of a large number of good lives further in the future. Some forms of short term utility maximization can be expected to have negative long-term consequences. I probably agree with you. But I’d like to point out one possible intuition behind objections to your idea. Intuition: You are supposed to help people by satisfying their (already fixed and existent) preferences. Not by modifying those preferences to meet reality. Or God forbid, invent those preference ex nihilo. @sarkology: That’s a succinct statement of my position. Thank you. How does this discussion extend to person-moments? How are you distinguishing the “semi-existing” from the couldn’t possibly exist? Since in most cases the value of an existing person will be higher than non-existing, and at least in current 1st world countries, sufficiently higher to make up for some reduction in value to currently existing people, doesn’t this philosophy imply that male humans of reproductive age are “morally obliged to go around impregnating women” and female humans of reproductive age are morally obliged to go around seeking impregnation? Do you believe that is a correct conclusion from this philosophy? If not, where is the logical error that is leading me astray? I’ll admit that I disagree with some of the apparent implications of this philosophy, and perhaps being biased by feeling that if the conclusions are wrong, there must be an error in the philosophy. I also feel it is wrong to value “semi-existing” people’s preferences as equal to currently-existing people’s preferences, but I have trouble identifying exactly what is the right way to reason about those without reasoning incorrectly about currently-existing people’s preferences over their future non-existence. Um, just so implications don’t get too squicky, I’d like to stipulate that any forcible impregnation or forcible removal of reproductive material will cause sufficient harm as to negate any utility benefit of the people thereby created. I really only want to discuss what consenting people should morally be doing, and just assume any non-consensual actions are addressed elsewhere in the utility calculus, regardless of how we treat potentially existing people’s preferences. Note that that conclusion doesn’t follow if we use a veil of ignorance argument (see my previous comment). A child who is the result of such a forced impregnation is likely to have a worse than average life, and so to reduce expected utility behind the veil. Your claim appears to be that a veil of ignorance argument changes the decision criteria from a better than non-existent life, to a better than average life? Is that the average now, or how does the change in average from the new life effect the decision? Is that a local or global average? There might be an exception for a person who would, with very high probability, have many children at some point in their life, that they could use birth control to optimize the outcomes of those children. However, it still sounds to me like choosing to have no children at all would be usually immoral, as would having less children than you could support in having better-than-average outcomes. P.S. I later realized my comment could imply use of force, and tried to put a reply that stipulated consenting parties, but it looks like that post has been delayed. You are right that results are very sensitive to who the reference group is. If the reference group is all people born at the same time, then yes, we probably do have a moral duty in developed countries to have as many children as possible. (I don’t think this is quite the same as contraception being immoral, by not having children now I may be increasing the number of children I can support later on.) However, I don’t think that’s necessarily the correct reference group. In particular, I think most would agree that we have moral duties towards the future, and to capture these duties you need a reference group that includes all people ever. (So behind the veil of ignorance I don’t know when I’m going to be born even.) If this is correct then our imperative to have children now is massively reduced. You might think for example that high population now increases the chance of a cataclysmic event that will hasten humanity’s extinction. Even if this is just a tiny probability it can still massively reduce expected utility behind the veil. Ow… my head is hurting trying to figure out how I would ever make a reasonable decision about how many children I should be having using a veil-of-ignorance over all time. It also appears that all my possible future children’s preferences get an equal say with my own preferences over which of them should exist or not exist. If it is true that it is currently unpredictable whether a given population increase in the near-future will cause a population increase or decrease in the far-future, doesn’t that make such veil-of-ignorance arguments unhelpful? Well on the links between population and productivity growth, see Jones’s work e.g. http://dx.doi.org/10.1016/S1574-0684(05)01016-6 . The established empirical conclusion is that there are weak scale effects (productivity levels increasing in population levels) not strong scale effects (productivity *growth* increasing in population levels). Weak scale effects means that there’s no incentive to boost population levels now in order to raise (distant) future productivity because there’s no (long-run) history dependence. The contribution of scale effects to future productivity is determined once future population is determined. The knock on links to cataclysm are difficult to assess empirically I guess. I don’t think it’s a failure really that this theory means the moral status of having children now is uncertain. This coincides with the popular debate on this issue. The theory also tells us what information would enable us to resolve the debate one way or the other. For example, if we encountered an advanced alien civilization that was absolutely committed to preserving intelligent species it encountered (and had been successfully doing so for billions of years) then the moral imperative would switch pretty unambiguously to having lots of children straight away (assuming our reference set only includes humans), since we would know both that 1) our productivity was going to rapidly stabilise at the level of the alien’s technology and 2) we were very unlikely to go extinct. In a less far fetched example, the theory says that neolithic humans had a pretty unambiguous moral imperative to have as many children as possible, since in doing so they reduced the chance of a Neanderthal style extinction event. I’d like to apologize for this comment, I’m behind on sleep, and apparently enough to impair my thinking ability below the level of this argument. Really I’ve gone off topic here into what is effectively a generic argument against utilitarian ethics, without realizing it. While I feel that there is something immoral, or at least unfair, about the morality of an action depending on something that is unknowable at the time the action is taken, it really has nothing to do with the topic of how the preferences of non-existent beings should be accounted for.